Marks & Spencer for Everyone! Right now the esteemed UK-based institution that is Marks & Spencer is doing an international shipping promotion by making shipping to the US, Canada, Australia and New Zealand free for a limited time. With that in mind you might consider this two-pack of mod scooter cotton pjs for ages 18 mos to 8 years. 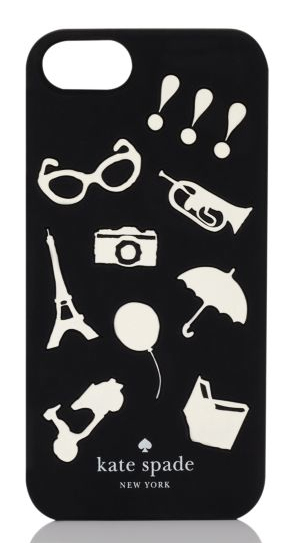 The price ranges from Â£9.00 to Â£13.00. 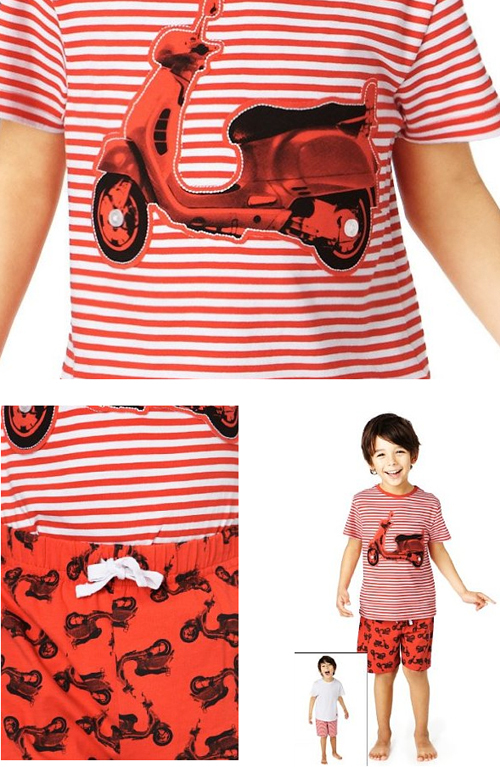 One set has a scooter print and the other is a white shirt with striped bottoms for mixing and matching. Needed: One jigsaw. One drill. One 1×10 @ piece of wood at 8 feet long and one 1/2″ dowel rod at 7″ long. And some time. 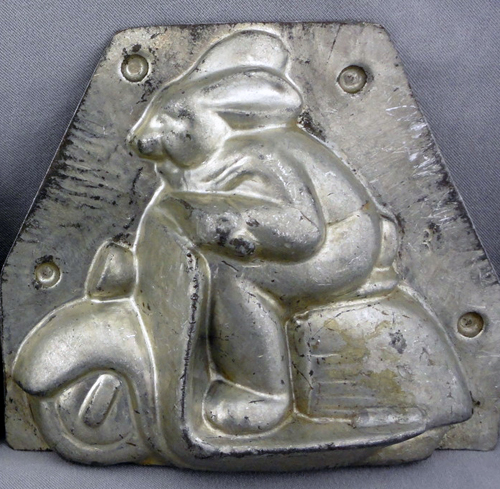 But you too can make this baby sized scooter rocker. The plans and the patterns are all free and were created by Brooke at Killer B Designs. Thanks to new mommy Sailor Sara for this find! 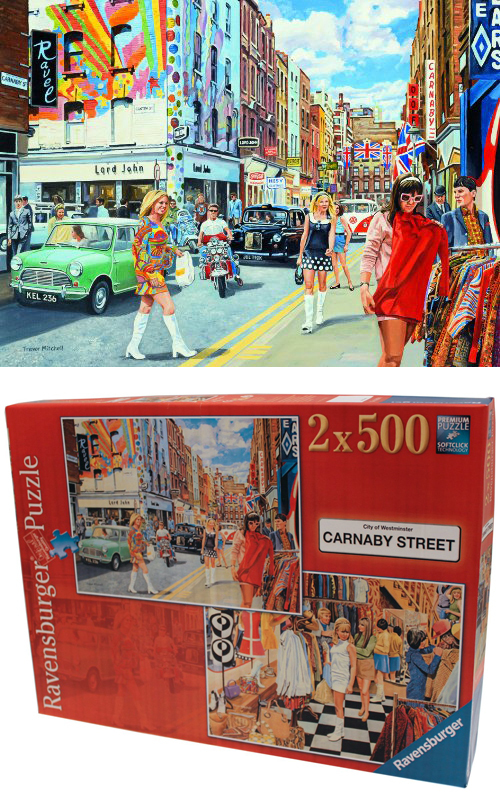 Ravensburger has released these two puzzles of modettes taking over Carnaby Street. 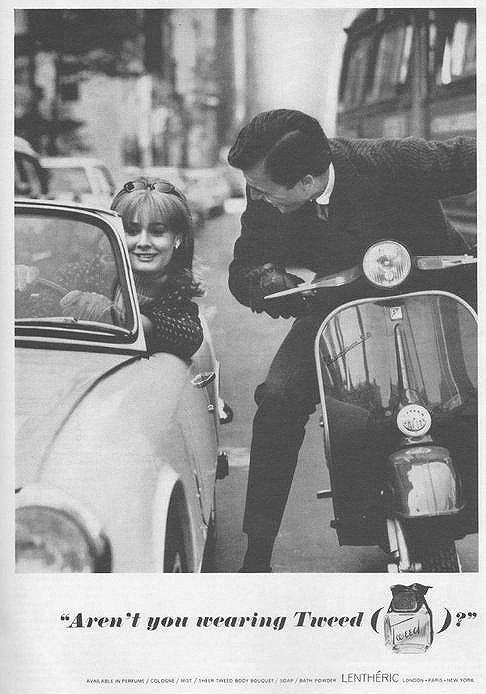 One features what looks to be a Lambretta looking for parking. To see other scooter related Ravensburger puzzles we’ve featured click here.